Have you lost sight of what’s truly important? Do you want to feel ecstasy and wonder? Do you need time away to gain perspective on a personal crisis? Do you long to connect with something greater than yourself? Then a retreat might be the ideal way to get back on track. Take time for a retreat, and rediscover the joy in your being. You’ll return to life with a fresh new perspective and power. Call (575) 956-9419, today. Individuals, couples and small groups are all welcome. Come for a guided retreat, or let the Retreat Center serve as your guesthouse as you discover the surrounding area. 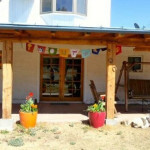 Nestled in the hills 7 minutes from the center of Silver City, the Heart and Wings Retreat Center is the perfect place to relax, reflect and reconnect with nature. 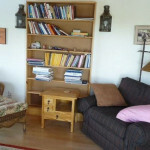 The Retreat Center offers a variety of attractive accommodations to suit solo travelers, couples, families and groups. Rooms have private or shared baths and kitchenettes. 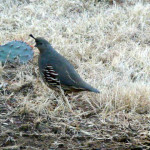 From the front porch you can enjoy deer, hummingbirds, quail and jackrabbits. You might spot a shooting star during a late night dip in the hot tub. Use the Center as your base to discover the Continental Divide Trail, Boston Hill and many other beautiful hiking and biking opportunities. Downtown, you’ll find art galleries, quirky shops and restaurants. There are many reasons to visit the Land of Enchantment. Click here for more information about the Silver City area. My heart-centered approach is informed by extensive training everywhere from ashrams in India to yoga centers in Mexico to the headquarters of the Sufi Order International in New Lebanon, NY. My teachers include some of the greatest spiritual leaders of our time, Pir Vilayat Inayat Khan and Yogi Bhajan. 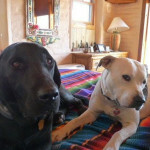 I offer a variety of retreats, and will recommend or tailor one based on a discussion with you. You are free to structure your own retreat with or without external support. Reconnect to your higher self and return to your life from an expanded perspective. Experience a variety of healing methods to restore spaciousness and ease. Clear the mind and emotions, build strength and flexibility, and reconnect with the body in a loving way. Break through creative blocks. Make time to follow your muse. Reflect and open up to inspiration. These are just some of many guided retreat possibilities. The following rates include accommodation at the retreat center in a private space with full bath and kitchenette. Directions will be provided when your retreat is booked. I can guide you on a retreat at a location of your choice, via Skype or phone. Here is some retreat music to get you started. The Heart and Wings Retreat Center is a lovely place to celebrate small weddings and rites of passage. As an interfaith minister, I can conduct the ceremony. I would also be happy to coordinate the musical offerings and video the occasion for you. 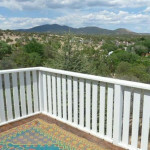 Perhaps you just need a quiet place to relax as you take in the sights of the Silver City, NM area. 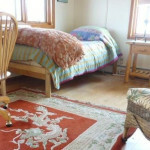 Use The Heart and Wings Retreat Center as your home away from home. You’ll have your own bedroom, bathroom, entrance and kitchenette. Book your stay here. Would you like some practices to help you feel good, even off retreat? Sign up for my mailing list to download my free E-Book, Stalking Ecstasy.